Koi of Fire takes a different approach to building ponds and water features. Our goal is to provide a unique experience based on your ideas to create that little piece of paradise where you can relax and enjoy your surroundings. We use only quality products and each pond and water feature is engineered for ease in maintenance for years to come. 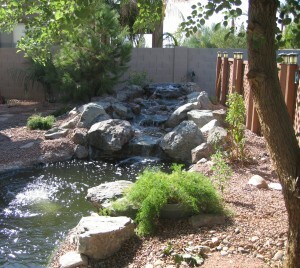 Koi of Fire has more than 11 years of experience in designing, building and maintaining of water features and ponds. We start with the basic setup, which consists of a pump; high quality filter system and bottom drain for optimal efficiency. Other items can be added like skimmers, jets, ultra violet light, air pumps and lighting to add value and enjoyment. 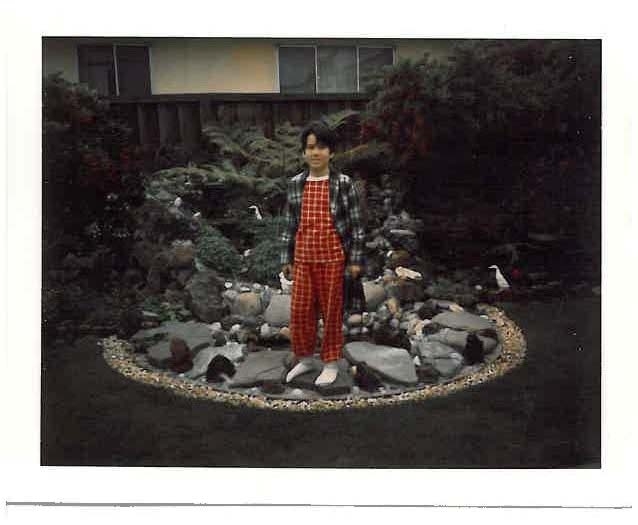 When I was a young boy, about 8, I made my first pond with my father. From that day on I knew I was hooked. I was so excited that I even had my father take a picture of me. This is one of our most recent projects. 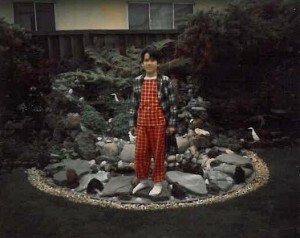 We took a plain back yard and turned it into a babbling creek full of Koi. You won’t see it in the beginning but once the plant life grows up, this little beauty will continue to impress. A Showa Sanshoku (also known as Showa Sanke) is essentialy a black koi on which white and red are imposed. 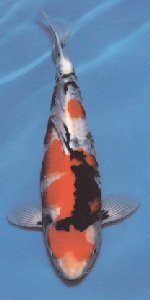 The Showa was developed by Jukichi Hoshino who paired a Kohaku with a Ki-Utsuri and made its debut during 1927 ending the Taisho era.